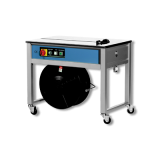 Tallpack International offers strapping machines for all applications and all budgets. Tallpack International offers a complete range of automatic and semi-automatic strapping machines. Semi-automatic machines are often the most economical solution. 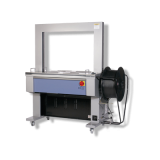 Tallpack International's automatic strapping machines are extremely reliable and are available in e.g. the following versions; side closers, duo-press for small packages and in stainless steel configurations. The automatic strapping machines offered by Tallpack International are primarily used on lines and do not require man power. The strapping machines are suitable for PP and PET straps.